I am from Lebanon and my focus is on youth empowerment and leadership, social entrepreneurship, community development, service and awareness. It’s a mix of interests that is reflected in the numerous NGOs, Initiatives and organizations I found or are on the Board of. Hello sir,I am Samarendra Patra,aged-18,author and poet from India.I have written more than 400 poems on various topics,mainly on peace ,and recently I was conferred with three prestigious honors ;World Poetry youth poet;World Poetry youth team member,and World Poetry youth ambassador to India.I am the first and youngest ambassador to India from World Poetry Canada and International.I have received letters of appreciation from the honorable vice-president of our country as well as from many global leaders including the president of Harvard University.I too want to work for this organization,kindly let me know,how can I be a part of it??? Glad to know more about you. 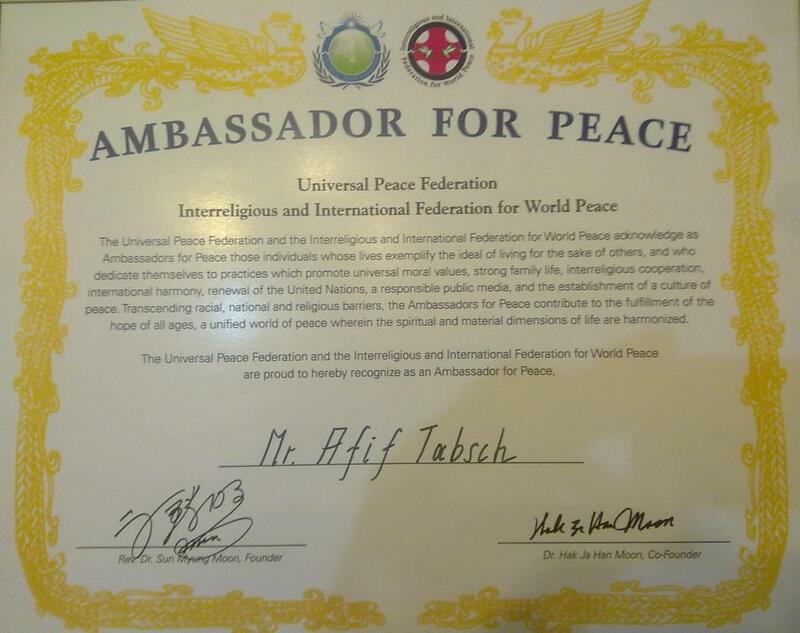 I would recommend that you check the UPF website and try to see if you have any Ambassadors in your country. If you found them out then you can send them a letter to ask them about joining their network.